Don’t judge a book by its cover, and don’t always judge a show by its pilot. 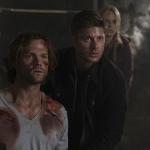 That’s the lesson that a whole lot of Supernatural fans might be reminding themselves of this week, as we have finished watching the backdoor pilot to the new Supernatural spin-off Bloodlines. The potential for success is there, if they can do the follow-through. A spin-off of a beloved show has the ability to expand already-established canon, as well as give greater exploration of topics that can’t be covered by the original. With Bloodlines, the idea is that we’ll get to dig deeper into monsters and the dynamics that exist among different ones. Five monster families are running Chicago, similar to mobsters of olden days. We were introduced to werewolves, shifters, wraiths, and djinn in quick succession, as well as a nod to forbidden romance between a shifter and his werewolf girlfriend, à la Romeo and Juliet. Then we have a new hunter who has joined the fold after his girlfriend was tragically killed, reminiscent of all hunters whose origins are born of tragedy. All of these characters hold potential for great storytelling, but it has to be handled in just the right way. What the pilot did mostly, for me, was bring up questions. Some were a trigger for the series, such as why Ennis’s father faked his death and where he’s been hiding out — or was the phone call from a monster just pretending to be dear old dad? Other questions were more problematic in terms of fitting into established Supernatural canon. And therein lies the crux of whether I’ll continue to watch the show when it’s on its own. If they can’t stay true to the canon we’ve set up for the past nine years, what show is it after all? Okay, so we have five monster families running Chicago. Interesting, but how has this thing been kept a secret for all these years, from all these hunters? Or is it just unknown to the Winchesters? 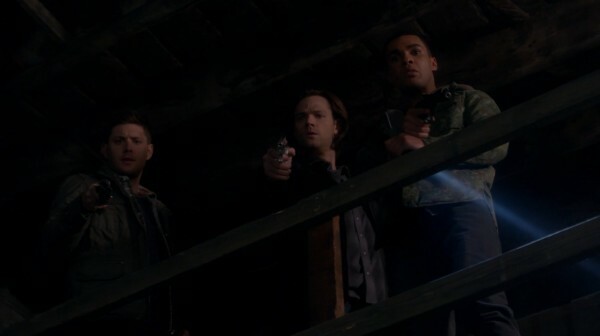 I can see Sam and Dean being out of the loop because they’ve always worked on the outer edge of hunter connections. However, to make us believe that all hunters have been kept in the dark about this situation? That all the monsters involved have kept their mouths shut about it? It’s a bit hard to handle. And if it was known prior, why haven’t hunters been circling Chicago the whole time, taking out monsters one after another? You don’t go traipsing all over the country looking for hunts when you’ve got a buffet in one town. 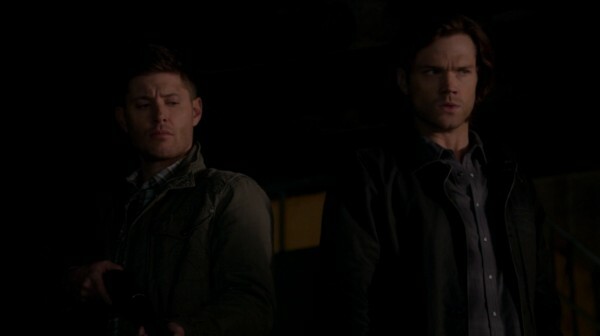 Then we have Sam and Dean’s reactions when they do find out. Here they are, being forced to work with a shifter, and Dean’s all easy-going and not throwing a fit of ultimatums. Instead, he’s just accepting of “sometimes you have to work with the bad guys to get the even bigger bad guys.” And he’s satisfied to just leave the Chicago situation behind when Cas gets a lead on Metatron. I understand that they’ve got pressing matters, but considering this is Dean Winchester, and he’s now wearing the Mark of Cain, the characterization feels out of whack. At least Sam felt more in character with his comments and actions. Chicago is monster central? Then let’s level this town until there’s no more monsters. A young kid wants to get into the dangerous business of hunting? Talk him out of it at every opportunity because you know first-hand how hunting ruins lives. Even if Ennis won’t listen to reason, at least Sam tried. For what little screen-time Sam and Dean got, being half in-character was as good as it could be. So, will the new show succeed? Maybe. If they can have touchstones to the original, have some familiar faces drop in now and again, and not forget to cross over the canon when it’s viable. Also, let the monster mobsters recognize a legendary hunting family. 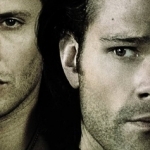 They’re the freaking Winchesters. Let everyone remember that, monster and human alike.